Liberia: Portrait of a Failed State is a thorough and thought-provoking look at Liberia's colored history. 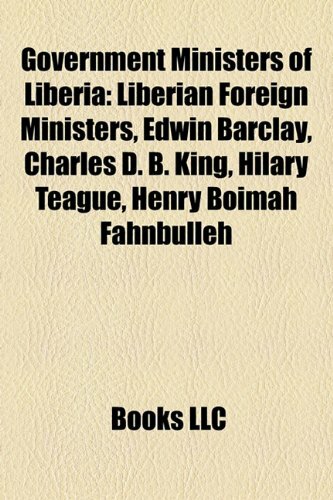 It follows Liberia's creation as a country for freed American slaves through its subsequent periods of war and political turmoil. John-Peter Pham explores the consequences of outside intervention in the affairs of struggling states, particularly when such intervention involves the UN. 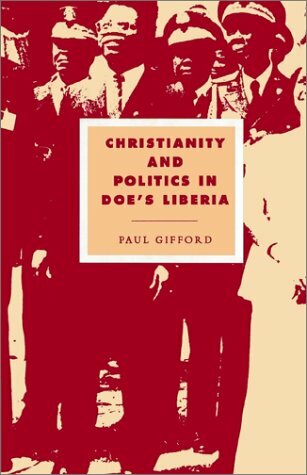 He gives his own analysis and conclusions as to why Liberia qualifies as a failed state, and why intervention in Liberia has been all but completely useless. All in all, it's very fascinating and informational. After walking away from this book, I felt I could have taken a general quiz on the country's history and done fairly well. In parts it reads like a drama, despite being written in a more technical and objective manner; perhaps this says more about the state of Sub-Saharan Africa than the author's talents as a writer, but there were times when I put down the book after a session of reading feeling more than a little shaken. There's some pretty heavy stuff here. This book would get my full recommendation were it not for the appalling editing. I can say with complete honesty that I have never read a book with more spelling errors, sentence fragments, and similar grammatical mishaps. There were points where for several pages in a row, I could point out AT LEAST one mistake per page, and there were at least a few circumstances where within a single sentence there were multiple grammatical errors. There were times where these faults actually clouded whatever Pham was trying to say, and I as the reader had to unravel these editing oversights. Normally, I can overlook grammatical issues as simple mistakes (everyone makes them, right? ), but in this case I can't for two reasons: 1) The sheer volume of them is just embarrassing, and they popped up frequently enough that my concentration was constantly being interrupted (aggravating when the book's subject matter is something that requires focus), and 2) The back flap of the book boasts about the author's multiple advanced degrees, so I would assume that he at least knows how to write without making such gross amounts of grammatical mistakes. If you can get over the terrible editing, however, the book proves to be informational and insightful. Too few Westerners are aware of the tragedies of Sub-Saharan Africa. Although atrocities such as the Rwandan genocide and the conflict in Darfur have been brought to public attention, there have been (and still are) a host of other tragedies throughout the continent that haven't received proper attention. 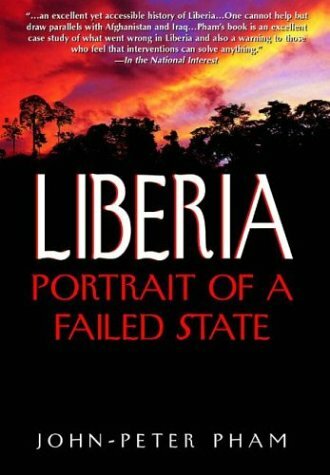 Liberia: Portrait of a Failed State offers a semblance of logic to the country's regretful history; just beware, you may not be able to wade through some of the writing. No I don't mean Reagan. Very informative. Much background info from the 80s & 90s on the entire region's current problems. An early descriptor of the blood diamond conflict. 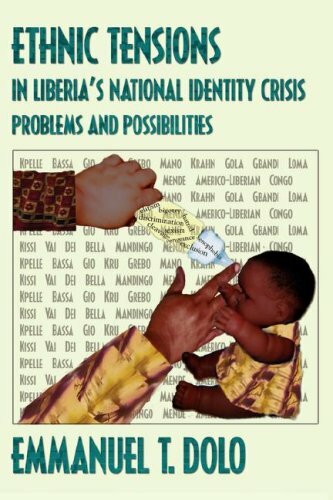 My only critique: Neither the intro nor conclusion mentions the fundamental problem underlying the crisis in Liberia, Sierra Leone, Ghana, Senegal, Burkino Faso, etc, namely their illogical, post-colonial Euro-imposed boundaries. The failed state of Liberia. 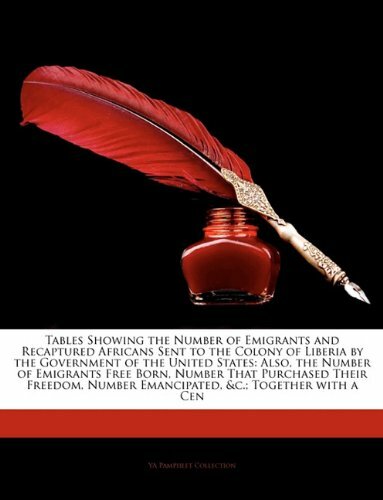 This book tells a short summary of the failed African state of Liberia.The authors tells of the founding of this country by freed African slaves from North America, and those rescued from illegal slaving ships. 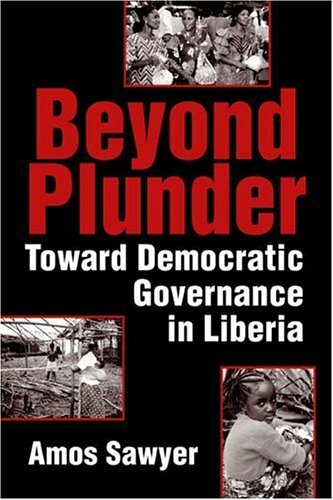 The author is an ex U.S. diplomat to Guinea, Ivory Coast, and Liberia.His knowledge of the internal policics of all these countries is immense.The book enlightened me on the politics of this region. There is one area I disagree with the author.The author argues that outside intervention causes a country a more difficult transition.Only in cases where there is is a substancial interest, should the outside world intervene in a civil war such as Liberia's.If this is what the author means, the U.N. (and U.S.) should not intervene in any state conflicts even if genocide is occuring.I hope this is not what he means.The U.N. and the U.S. have the means to prevent this type of slaughter.Intervention does cause difficulties and is not the solution in all cases, but neither should it be discarded because it might cause a more difficult transition. This is an interesting read on a country that modeled itself like the U.S.Unfortunately this state has failed and is attempting to put itself together again. Mr Pham is particularly adept at providing context for the collapse of Liberia. 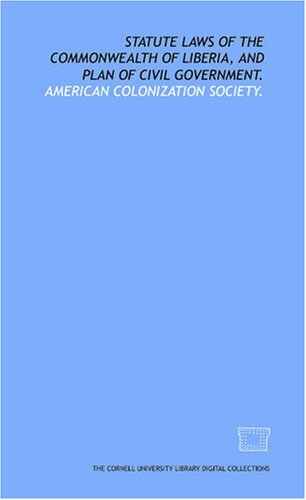 His summaries of the political and social turmoil in neighboring West African states are superb. 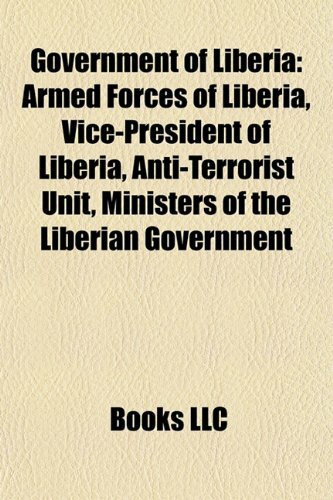 While these neither explain nor exonerate the unspeakable crimes of Liberian warlord turned President Charles Taylor, they do explain many of the Liberian leaders motivations and excesses, as well as demonstrate that these crimes, like most crimes against humanity, rarely occur in a vaccuum. 17. 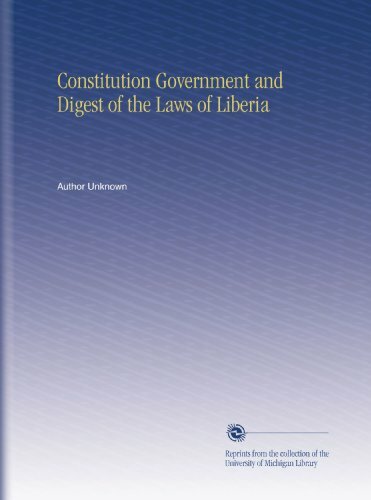 Statute laws of the commonwealth of Liberia, and plan of civil government. This digital document is an article from Critical Arts, published by Thomson Gale on January 1, 2005. The length of the article is 1649 words. The page length shown above is based on a typical 300-word page. The article is delivered in HTML format and is available in your Amazon.com Digital Locker immediately after purchase. You can view it with any web browser.